The Italian parliament has again postponed the vote on a non-binding bill calling for the official recognition of a Palestinian state, reportedly under pressure from Israel. The motion is understood to be similar to the one put forth in Sweden, where the government formally recognized a Palestinian state last year , as did France, Britain, Ireland, Portugal and Spain. Search IMEMC by country name for details. 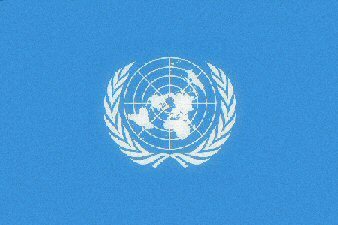 The motions in question, however, have no actual diplomatic effect and are chiefly a symbolic gesture, PNN reports. A similar vote is planned in Belgium, where legislators are working on a resolution to recognize a Palestinian state, though the government said, last week, that any timing to proceed will depend on European Union action. Shops and offices in cities across the occupied West Bank closed on Friday, after a major winter storm struck the region, leaving nearly half a meter of snow in some areas. Snowfall began late Thursday and continued into the early morning, Friday, blanketing hilltops across the region with a thick layer of snow that closed streets and major thoroughfares, according to Ma'an. Frigid rain continued to pummel the region Friday night, and was expected to continue into Saturday, while temperatures slowly rise from the storm -- named "Jenny" by meteorologists -- as it continues south. Emergency services said that, as of this afternoon, there had been 16 storm-related car accidents and that rescue services had been involved in at least 215 cases since the beginning of the storm, the majority of which involved individuals being brought to the hospital. Snow plows roamed the streets of the West Bank's major cities, opening up roads, but the Ministry of Public Works and Housing said that, in many areas, the vast majority of roads were still shut. The ministry stated that, in the Hebron region, 80 percent of internal roads were closed by the snow, while Israeli-controlled Route 60 was open, but extremely difficult to navigate. Meanwhile, in Bethlehem, all major roads were open but the ministry asked residents to stay in their homes as the majority of roads remained in precarious or difficult condition. 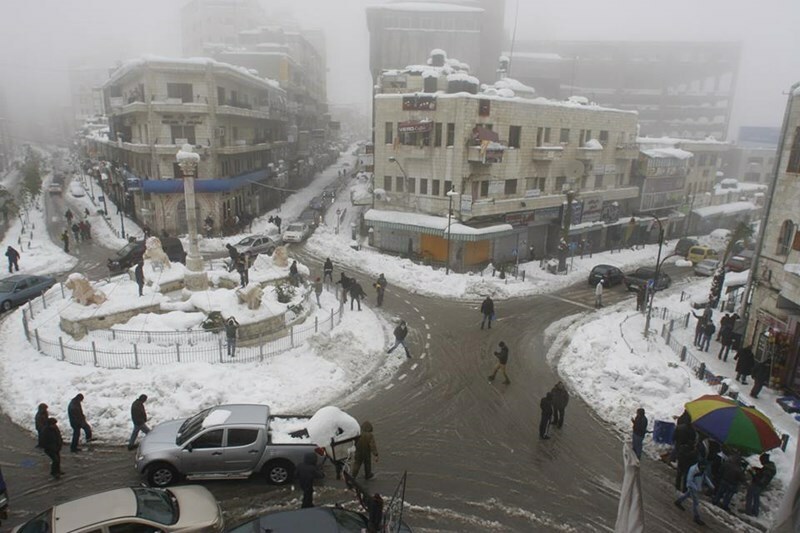 In occupied East Jerusalem, the heavy snowfall has also shut down major roads. Due to the reported failure of the Israeli municipality to clear roads in Palestinian neighborhoods, locals in many places had ventured out to re-open streets. At the Al-Aqsa Mosque courtyard, hundreds gathered to take part in a massive snow fight, taking advantage of the unusually cold weather and fresh white blanket covering the third-holiest site in Islam. Snowfall also hit Palestinian communities inside Israel where it is rarely seen, including Nazareth, in the Galilee, Abu Ghosh, to the west of Jerusalem, in addition to Beersheba and Bedouin communities in the Negev desert, to the south. Power failures were reported in the southern Israeli city of Arad, as crews struggled to cope with the storm's impacts on the country's infrastructures. Several major highways, including Highway 1 and 443, into Jerusalem, were still closed as of Friday afternoon. Meanwhile, frigid rain and hail pounded Gaza and the Palestinian coast overnight and into Friday, with at least 1.8 million in the region struggling to survive amid the usual power cuts and limited access to fuel for generators. Furthermore, around 110,000 people were left homeless by Israel's summer assault on the Strip that left around 2,200 dead, as well. Tens of thousands of these people are still being housed in substandard, unheated dwellings. Conveying the Secretary-General’s call for both sides to refrain from unilateral steps that could further aggravate the situation, Feltman highlighted the Quartet's call for Gaza reconstruction to be accelerated and stressed the need for ‘concrete actions’ and ‘clear unity of purpose’ from the international community so that the Quartet can play an effective role. 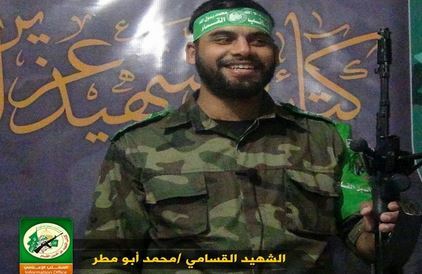 The al-Qassam Brigades, the armed wing of the Hamas movement, said one of its fighters was killed “during preparation and training” in Rafah, in the southern part of the Gaza Strip. The Brigades said Mohammad Talal Abu Matar, 25 years of age, was one of its senior fighters, and that his funeral was held, on Thursday evening, in the al-Huda mosque in Yebna refugee camp, south of Rafah. It added that hundreds of Palestinians participated in the funeral ceremony and procession despite the rain and bad weather conditions. The fighter is a married father of three children, and a long-time member of the al-Qassam Brigades. Dozens of fighters have been killed in similar training accidents in the Gaza Strip, while many died in border tunnel accidents along the border with Egypt. The Al-Qassam Brigades of Hamas is the biggest Palestinian armed resistance group in Palestine. 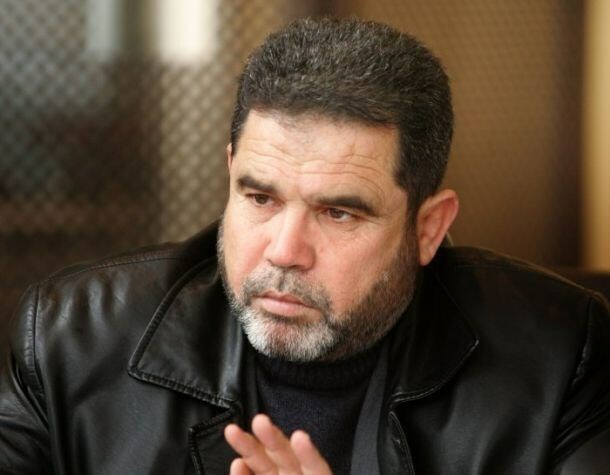 The Islamic Jihad leader Khader Habib described the current situation in the besieged Gaza Strip as worrying and harsh at both local and political levels. Habib confirmed in press statements on Thursday that “Gaza is going through a real crisis in regards with the living, economic and political conditions in addition to the failure to achieve the Palestinian reconciliation agreement which hinders other issues inside the enclave. 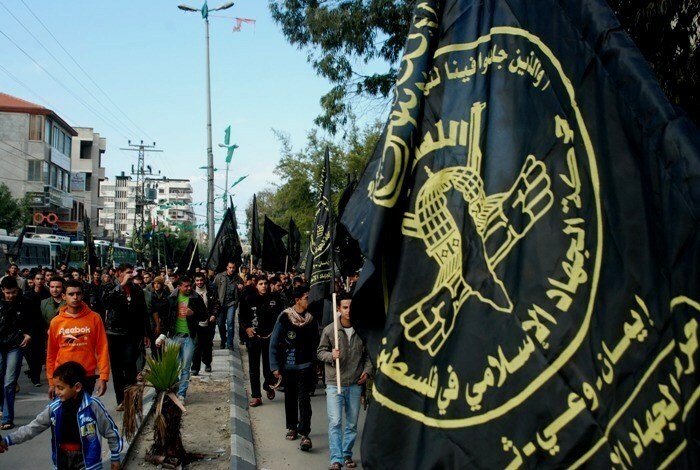 Referring to the series of bombings in Gaza, the Islamic Jihad leader said, “The security condition in Gaza is worrying. The people in Gaza have been severely suffering due to the continuing siege on the Strip and the suspension of reconstruction”. He added, “Some parties are pushing toward confrontation with the Israeli occupation. The situation in the besieged Strip is moving toward the option of harsh confrontation which Gaza would be forced to take”. 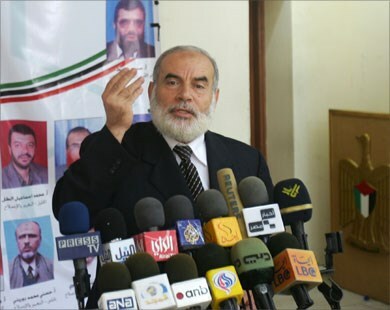 Suggesting a solution, the Islamic Jihad leader called for implementing the Palestinian reconciliation. He also called on the Palestinian unity government to bear its responsibilities in Gaza. 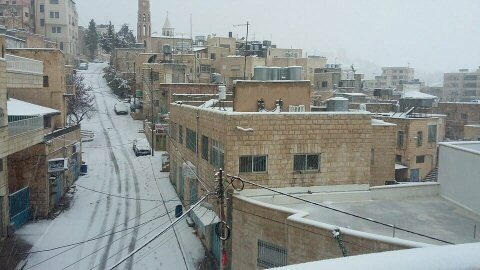 Emergency has been declared in both West Bank cities of Ramallah and el-Bireh since Thursday morning due to weather reports predicting a snowstorm. Governor of Ramallah Laila Ghannam said, in a press release, that she ordered the competent authorities to take necessary preparatory measures to face this urgent condition either in central or local operation rooms. She stressed the need for the citizens to be careful when dealing with heating methods, calling for following general safety instructions. Governor Ghannam also called on the citizens to act seriously in terms of calling emergency, saying “the truth of the news contributes to distributing missions appropriately”. The weatherman Qusai Halayqah said a severe snowstorm, called Jana, will hit the region on Thursday and probably will last until Friday noon. The Palestinian Legislative Council (PLC) Deputy Speaker Dr. Ahmed Bahar said that Palestinian factions realize that Palestinian Authority chief Mahmoud Abbas is the main obstacle to national reconciliation. Speaking exclusively to the Palestinian Information Center (PIC), Bahar pointed out that election is the sole solution to end this internal crisis. Abbas is still refusing to call for the meeting of the PLO provisional leadership as it was agreed upon in 2005, he said. Bahar also called on the unity government to exercise its duties and role and to abide by what has been agreed upon. Commenting on the resumption of PLC sessions, he underlined that the PLC was supposed to reconvene a month after a unity government is formed according to the reconciliation agreement signed in Gaza. However, it was marginalized along with the meeting of the PLO provisional leadership. "The council's sessions have been suspended in order to achieve reconciliation and the signing of the Shati Agreement." Bahar said the Palestinian unity government was supposed to gain the PLC's confidence; however, Abbas did not fulfill his obligations to allow the PLC to meet, therefore we decided to resume the council's sessions. There is a political decision (on the part of Abbas) to refuse national partnership and take control over the PLO, he said. Replying on whether the resumption of the PLC sessions would foil reconciliation path, Bahar said that the PLC re-convention is a constitutional entitlement given by law. The people gave us their confidence and we bore this trust despite all the challenges and obstacles mainly the Israeli arrest of 45 Palestinian MPs headed by the PLC Speaker Dr. Aziz Dweik since 2006, he continued. Bahar renewed the PLC adherence to the reconciliation agreement, calling on the Palestinian unity government to bear its responsibilities and to exercise its duties including paying the employees’ salaries, lifting Gaza siege, and start reconstruction of the Strip. He also stressed the need to reinforce the national unity between the Palestinian people in Gaza, West Bank, occupied Jerusalem, and in 48 Palestine. "We have to establish a national unity based on resistance and national constants", he underlined. He warned that the continued siege and the deteriorating living conditions in Gaza Strip would certainly lead to a new war. "We are ready to defend our people by all possible means", he stressed. On the other hand, the PLC top official expressed hope that Saudi Arabia's new monarch Salman bin Abdulaziz would activate and support the Palestinian cause, stressing the importance of his country’s economic role in the Arab world. Speaking on Hamas’s relations with Iran, Bahar said that the group did not and will never intervene in any country’s internal issues. "We appreciate all the countries’ support for our people and cause", he added, noting that the resistance weapon is only directed against the occupation. Regarding the Egyptian decision to declare the armed wing of Hamas Movement as a banned terrorist group, Bahar said that such decision would only serve the occupation. The Egyptian court’s decision was a political decision par excellence, he underlined, calling on Egyptian authorities to reconsider its decision. PLC Deputy Speaker Ahmed Bahar has announced late January the resumption of the council's sessions after being suspended for more than seven months. Italian Democratic Party says it would back motion, as Israeli embassy in Rome says 'any premature recognition would only encourage Palestinians not to resume talks'. 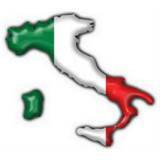 The Italian parliament is expected to cast a vote on the recognition of a Palestinian state as soon as Thursday, following similar moves by other European Union countries, the Italian news agency ANSAmed reported. While most developing countries recognize Palestine as a state, most Western European countries do not, supporting the Israeli and US position that an independent Palestinian state should emerge from negotiations with Israel. 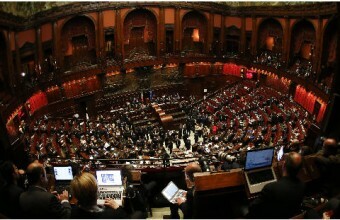 The Italian Democratic Party (PD) said it would back the motion, as did MPs from the anti-establishment 5-Star Movement (M5S), while Italy's far-right Northern League and center-right Forza Italia party announced it would vote against it. The ANSAmed report cited a statement issued by the Israeli embassy in Rome in which it spoke out against the proposed resolution, saying: "It is clear that any premature recognition would only encourage Palestinians not to resume talks with Israel and it would make the possibility of peace less likely''. The parliaments of several European countries, including Britain, France and Spain, have in recent months passed non-binding votes recognizing Palestine, angering Israel. Israel is committed to the establishment of a Palestinian state under a peace agreement, but says such resolutions encourage the Palestinians to avoid negotiations. On October 30, Sweden's government became the first western European nation in the EU to recognize Palestinian statehood. Since then, lawmakers in Britain, Spain and Ireland have approved non-binding motions urging recognition. Recently, members of the European Parliament began debating whether they can agree on a common approach for the European Union's 28 member states. Hamas reiterated the group’s firm rebuff of a series of provisos laid down by the Quartet envoy to the Middle East, Tony Blair, stipulating an adoption of the two-state solution as the ultimate way-out of the Palestinian-Israeli conflict. “He has to bear in mind that the aspirations, dreams, identity, motherland, and faith can neither be misappropriated nor altered by a deal struck with a given person or political party,” he stated. “Hamas shall never remain mum over attempts to take away the rights and aspirations of our Palestinian people,” he added. Earlier, during a stopover in Gaza on Sunday, Blair pledged the adoption of a set of initiatives to promote socio-economic growth in the Strip and set the stage for a bilateral recognition of a two-state solution. According to Abu Marzouk, today, once again, Blair is speaking on behalf of the international community, using the tragedy wrought on Gazans by Israel’s destructive war machine and displacement tactics as a means to enforce a series of conditions governing the entire process of reconstruction. “Our resistance battlefield is Palestine only. We’ve never operated outside of Palestine . . . despite the countless assassinations targeting our leaders and officials over the past three decades,” he added. “Gaza is never the right place to harm our Egyptian brothers and sisters. . . . Neither should Gaza turn into a breeding ground for terrorism,” Abu Marzouk stated. “Unfortunately an ad hominem campaign is being launched against Hamas, holding the group accountable for the terror attacks and assaults on army officers. But these are mere falsehoods and propagandas. Yet we have not been granted the right to defend our case or to even get in touch with political parties so as to speak up our minds,” the statement further read. “Despite all that, Hamas has adopted a policy of non-interference as regards Egypt’s international affairs. Preserving Egyptians’ security and integrity is part of the group’s unquestionable basics,” the statement proceeded. According to Abu Marzouk, Hamas’s priorities at this very stage reside in healing the internal rift, propping up unity between all Palestinians and Arabs, and working on forcing Israel’s retreat from the West Bank and Occupied Jerusalem so as to pave the way for the establishment of an independent Palestinian state with Jerusalem as its capital. Palestinian intelligence agencies loyal to PA President Mahmoud Abbas advised the Israeli occupation on nearly 30 percent of the targets in Gaza that were attacked during last summer’s offensive on the besieged coastal enclave, senior Hamas leader Salah al-Bardawil said. Speaking during an aired interview, al-Bardawil said Gaza’s security apparatuses found out, after having chased down a group of suspects, that “prominent” PA figures have been involved in security coordination with the Israeli occupation. According to a set of documents and confessions released by those involved with the Intelligence apparatuses, Abbas’ agency assisted the Israeli occupation in creating some 29% of the target bank during the last war, 60% among which were directly hit. The Israeli aggression led to the death of thousands of Palestinians in airstrikes over the summer, including hundreds of women and innocent children. Hundreds of civilian family homes had also been turned into mounds of rubble in the process. The Hamas Movement has expressed its rejection of the pretexts that some countries, especially in Europe, are using to justify their intents to intervene militarily in Libya. 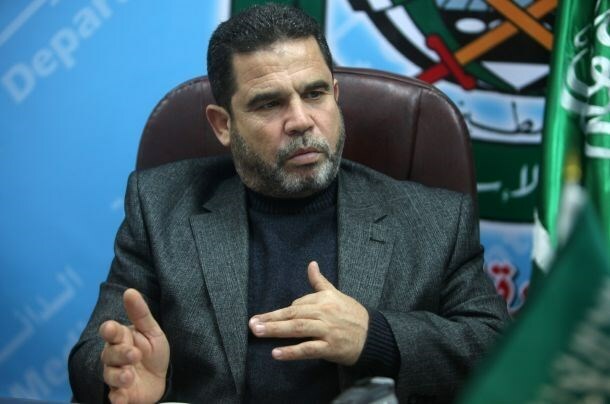 "Hamas categorically refuses the pretexts that some countries like Italy are providing to intervene in the internal affairs of Libya, especially under the pretext of fighting terrorism," senior Hamas official Salah al-Bardawil stated on Monday. Italian foreign minister Paolo Gentiloni said on Monday that his country was ready to take military action in Libya to fight the Daash militant group in the framework of the international legitimacy. "We reject this intervention and consider it as a new crusade against the Arab and Muslim countries," Bardawil added. He pointed out that his Movement had already expressed its refusal of the foreign intervention in Iraq and now it renews its appeal to the international community not to allow similar moves against any other Arab country. Commenting on the execution of 21 Egyptian Christian citizens in Libya, the Hamas official deplored what had happened to them and expressed his Movement's rejection of killing and attacking people because of their religious, political and intellectual affiliations as happened in many countries lately. The PFLP described Blair’s statements as pressure-cards to force Palestinians to abide by a set of political provisos. Such pressures stipulate a willingness on the part of Palestinians to accept the establishment of a Palestinian state on the 1967 borders as the ultimate solution and the only possible way to mobilize the world’s support for the reconstruction of Gaza and for national reconciliation. The PFLP pushed for a firm rebuff of Blair’s statements, saying they only exploit and sharpen the agonies inflicted on Palestinians through the tough blockade policies and incessant Israeli aggressions. Blair’s statements mislead Palestinians into believing that establishing a state is the one and only way out of the conflict, the statement added. 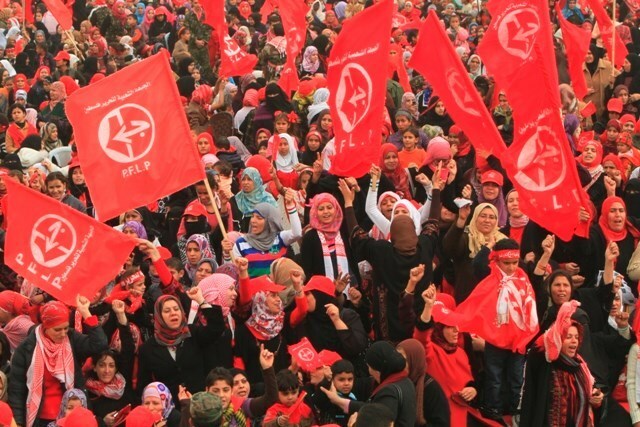 Such claims not only stand in sharp contrast with international legitimacy and resolutions but also turn reconstruction into a process that hinges on such a political condition, among others, the PFLP added. “This is also a long way from the pledges released by the donor countries in Cairo,” the statement read. 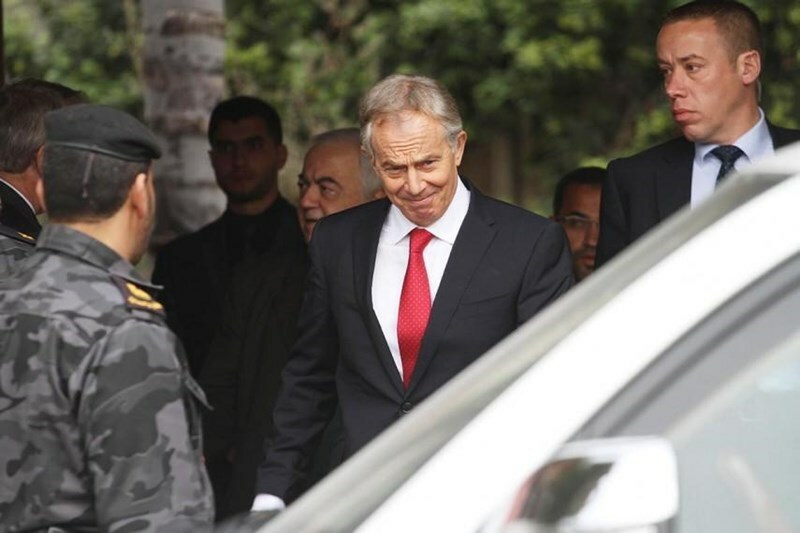 Blair arrived in Gaza Sunday morning via the Beit Hanoun border crossing, to the north of Gaza. A delegation of Palestinian ministers briefed him on the latest developments and crises hitting the Strip.